Track One By the Numbers. What are you Waiting for? David Kappos is Under Secretary of Commerce for Intellectual Property and the Director of the United States Patent and Trademark Office. He assumed that role within the Obama Administration when he took over the USPTO in August of 2009, nearly 32 months ago. Upon arrival Director Kappos found a largely dysfunctional Patent Office, which had really become the “No Patent For You” Office owing to the philosophical and ideological beliefs of the prior Administration. This lead to the development of a massive backlog of un-examined patent applications and played no small part in the severity of the economic collapse and the sluggish rebound. We have a technology based economy and start-up companies that are the backbone of our economy struggled without patents to attract capital investment, expand and hire. There is still a massive backlog of patent applications, but things are undeniably turning around. There are certainly some pockets of resistance within the USPTO, See Business Methods by the Numbers, but the Patent Office is by-and-large open for business. The USPTO has returned to the historical philosophy that patent examiners should work cooperatively with patent applicants to identify allowable subject matter and issue patents on what is allowable, not just focusing on rejection after rejection after rejection. While there are quite a few positive changes, with more in the works, Track One is by far the most successful policy initiative that has come to bear during the Kappos Administration. The only problem with Track One is that more applicants are not using it! What are you waiting for? A look at the numbers shows that Track One is a huge success and ought to be employed far more than it has been. Track One has been a huge success, but significantly under utilized, which is not surprising I suppose. Patent attorneys are almost all “small c conservative,” and are not known to take chances or change things up for the sake of change. That is understandable, but that typical aversion to all things new needs to come to an end. Just look at the statistics. As of March 21, 2012, thirty-seven (37) Track One cases have resulted in issued patents. Of the 37 patented cases only 1 received a final rejection. In total, 167 Track 1 cases have been allowed as of today (including the 37 issues). So far 57 applications have received a final rejection, with three applications expressly abandoned. So what is the allowance rate? It is really impossible to give a specific answer to that question because it takes a minimum of six months for a case to go abandoned for failure to respond to an action, and the Track One program is only about six months old, so no cases have even had a chance to be abandoned for failure to respond. Nevertheless, if we make the assumption that all of the finally rejected cases wind up being abandoned the allowance rate would be nearly 75%! As after final responses and amendments are filed we can expect that number to go up. Of course, the sampling of cases that have worked their way through is relatively small, but a 75+% allowance rate with the overwhelming majority of issued cases being allowed even before a final rejection is impressive. The cost to file a Track One petition is $4,800, which is cut in half for small entities, so there is no doubt a self selecting aspect at play. Those willing to pay the extra fee are likely to be very serious and willing to present claims that can be allowed, but if you need a patent quickly, perhaps within 6 months, you can obtain one and the odds are in your favor if you file a realistic set of claims. You can always go back for more later. Some more numbers; as of March 12th, 2012, 1,903 decided petitions have been granted under Track One, 631 are pending, and 45 have been dismissed. Of those applications granted for accelerated review in FY2012, approximately 1,388 have received a First Office Action, making the average timeline on a First Office Action (from petition grant) 1.35 months for applicants participating in the program. First Office Action pendency for applicants not participating in Track One, and going through normal processes, averages at 22.7 months, making Track One an incredibly efficient tool for businesses that need a patent immediately. Furthermore, more than 833 applicants have taken advantage of the 50% discount given to small entities. What if you could demonstrate to a client that they would likely, or perhaps almost certainly, spend less money paying the $4,800 acceleration fee (or $2,400 for small entities) under Track One? That would make Track One a no-brainer, right? One of the frustrating things is not being able to tell a client how much they are going to need to pay post filing and prior to obtaining a patent. This is complicated by the fact that with some patent examiners you will get more than the typical 2 Office actions in a case, and with many patent examiners it is still unrealistic to anticipate obtaining a patent without at least one RCE filing (i.e., Request for Continued Examination). Patent Attorneys Chris Holt and Joseph Kelly created the PatentCore™ system, which is an easy-to-use online tool that allows you to obtain actionable and immediate intelligence on any patent examiner and on any Art Unit, including the average number of Office Actions per case, whether an RCE is going to likely be required before patent issuance, and even whether you are likely to get a patent without appealing. For example, in Art Unit 3689 it seems virtually certain there will be no patent for you unless you appeal. In the scenario where you are working with a patent examiner or Art Unit that likes to drag things out and/or only issues after the Board orders them to do so, it makes all the sense in the world to pursue Track One. At the very least you get to appeal sooner. But the senior management, including Director Kappos, are looking at Track One statistics very carefully. This is their baby. I just cannot see patent examiners or Art Units playing fast and loose with Track One applications when the statistics and process are being so carefully monitored. How many times have you reviewed a patent and an allegedly infringing device or service and thought to yourself — if only the claim said it this way or that way? You cannot help all clients with that, but with clients who are large enough to be doing what they should be doing, there will be one or more patent applications that remain on file keeping a continuous chain all the way back to the parent application. What if you could file a patent application on claims that are written to cover that allegedly infringing device? If you have to stand in line this is hardly a strategy because waiting 4 to 5 years (or longer) to go after an infringer is not a business solution for the aggrieved patent owner. But waiting 6 to 9 months makes all the sense in the world if you can get a picture claim that the competitor specifically infringes. I am not suggesting playing fast and loose with the rules, but we all know that a well drafted parent application followed up by similarly well drafted continuation-in-part applications can support far more claims than most clients are willing to pay for in a patent. I would never suggest doing anything unethical, but if you have support in a pending patent application for what your competitor is doing for goodness sakes file a Track One patent application, get a claim the competitor infringes and go after them! I’ve heard that many who work in certain technology fields, such as biotech and the chemical area have no interest in obtaining patents quickly. I get it, but when faced with imminent licensing or potential litigation there will be circumstances where Track One is the exact right thing to do in any and every technology field. One of the benefits of Track One is that the prosecution of the patent application is condensed over a period of a few months rather than dragged out over a period of multiple years. That means that the application will remain far more fresh in the mind of the patent examiner, which should lead to a cleaner, less problematic prosecution. At the very least the patent examiner will be more up to speed with every touch because the last touch was only a few weeks ago. That means less background explanation needs to occur when you speak with the examiner and when you file Amendments and Responses. When I interviewed Deputy Director Terry Rea she indicated that there was some thought that the Track One process would be so successful that it could become the model for the future of all prosecution. 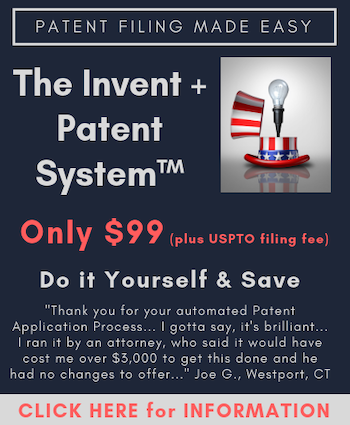 Not in that everyone will obtain a patent within 12 months, but rather that patent examiners would be encouraged to pick up a file and work with willing applicants over a condensed time frame so that there is better institutional memory on the part of the USPTO with every touch. The USPTO is finding condensed prosecution over a period of months leads to significant streamlining of the prosecution process. What that means is fewer Amendments and Responses, which means less opportunity for prosecution history estoppel. This is supported by the statistics above. Out of 37 issues patents only 1 was issued after a final rejection. That means 36 of 37 issued patents from Track One have been issued without getting a final rejection. That alone means that there is less prosecution history estoppel because there is no need to amend after final rejection and no RCE (or series of RCEs). Frankly, if your client has a commercially relevant innovation it makes all the sense in the world to pursue Track One just based on the fact that there is less opportunity for admissions and arguments made during prosecution. With all of the benefits associated with Track One, including lightening fast prosecution, a high allowance rate, less prosecution history and the ability to obtain claims quickly for litigation or licensing purposes, if you are not advising clients to consider Track One you could arguably be committing malpractice. Ultimately the decision is the clients, and we all know that clients make decisions that are against their interest and against the advice of counsel all the time. But you really need to become acquainted with Track One and its potential. It may be true that the development of technology provides advantages to our economy, but junk patents do not do so. Giving away patents without careful evaluation does not stimulate the development of technology, even if they are used to thresh money from gullible investors. Productivity, e.g., industry that actually makes something that people need or want, stimulates the development of technology. Junk, paper patents are parasitic on productive activity. ( While theory sometimes results in discovery, e.g., relativity, with respect to applied technology, we learn more by doing.) The Patent system was intended to allow authentic invention to be protected with substantive patents, i.e., patents that actually disclose valuable innovative technology and have claims that are commensurate in scope with the technical contribution. The only way to produce this type of quality patent is by thorough examination, which takes time – leading to the backlog to which you refer. Paper patents based upon speculative, unworkable or ill-defined technology, with unduly broad, ambiguous and numerous claims which were not weeded out and which were granted freely in the past have resulted in the transfer of vast wealth to those who have not contributed anything of value – a detriment to the general welfare. It was in response to the granting of poor quality patents and the burden of subsequent lawsuits in which they were asserted and continue to be asserted, that the call for the Patent Office to do a better job and stop issuing junk patents arose – the “no patent for you” approach. But this was in response to the worse, prior theory that, “the courts will sort out the junk patents,” which was conclusively proven to be pure, destructive and mischievous bunk. (It is too costly and ineffective.) The Patent Office is the front line for separating junk from true innovative technology. It was my experience that the Patent Office actually did rise to this challenge in the recent past and was doing a better job of examination, resulting in higher quality patents. More recently, I sense an easing – perhaps they are copying the Federal Reserve. But a soda and candy diet now is a recipe for a bellyache tomorrow. Patent quality should be maintained and improved, be that by higher fees, more examiners or perhaps allowing the Patent Office to keep the fees from being diverted by a spendthrift political establishment. Accelerate, fine, but don’t shortcut examination quality and let’s not root for opening the floodgates again. We (U.S.) can’t afford another handicap in this competitive world of ours. It is curious how you jump to equate speedy prosecution with bad quality. If anything speedy prosecution will result in higher quality. As a patent attorney you have to know that patent examiners are only give so much time to handle a case, typically between 12 and 35 hours, most often on the lower end of that range. It doesn’t matter whether the prosecution drags out over 5+ years, as is often the case, the reality is the examiner still only gets the same number of hours. Obviously, an examiner that can spend that amount of time over a condensed period of time will be better acquainted with the file every time it is picked up, reducing (or eliminating) the inevitable time spent become familiar with the file again. So you support a patent backlog where people cannot obtain patents for 4 to 5 years on most inventions? You are the first patent professional I have heard that applauds the gridlock that became the Patent Office under the Dudas Administration. I’d love for you to point out patents issued over the last few years that are problematic. It is easy to talk about this in the abstract, but the reality is that a problematic patent is one where the claims are invalid for one or more reasons. So lets talk about those cases where bad patents exist with specifics. I also have a hard time believing that you are concerned with the creation of “another handicap” in the U.S. because patents are granted quickly. It is clear to everyone who has examined the data that the REAL handicap occurred when patents were not issued. Start-up companies couldn’t get funding or lost funding. I shouldn’t have to tell you that. So what is it that really has you upset? There’s several issues with this. 1) Why does it take longer than a year to process a patent in the first place? 2) Doesn’t this seem to be a cash grab to you? 3) Should the aim be to issue patents, or to issue legitimate patents? You know I’m a strict constructionalist as far as patents are concerned. I’ve been approached by far to many companies over the years with “patented” inventions that weren’t worth the cost of the acceleration fee. Pardon me for wording things this way, but I grew up on a farm, and I know what comes out of the back end of a bull. I shoveled enough of it before I got smart and went to school. I repeat Sturgeon’s Revelation, which was wrung out of me after twenty years of wearying defense of science fiction against attacks of people who used the worst examples of the field for ammunition, and whose conclusion was that ninety percent of SF is crud. Using the same standards that categorize 90% of science fiction as trash, crud, or crap, it can be argued that 90% of film, literature, consumer goods, etc. are crap. In other words, the claim (or fact) that 90% of science fiction is crap is ultimately uninformative, because science fiction conforms to the same trends of quality as all other artforms. Ted Sturgeon is right, except under bubble conditions. Currently we are in an Intellectual Property Bubble in my opinion. This draws in the Scam Artists, who promptly flood the market with valueless products, in this case patents, changing Sturgeon’s Revelation to 99%. Which pretty well matches the number of patents I saw which were actually worthwhile. With all due respect, I have not seen you as any type of “constructionalist” as far as patents are concerned. In relation to your farm experience, your position has not improved from when you had shovel in hand at the farm. Both you and Paul have an unrealistic view that patents are to be handed out only for proven (linear) advances. You lack a complete understanding of how innovation works. And what’s worse, you do not even know that you do not know this, and you push to squelch the innovation engine that is built with this knowledge in mind. There is a reason why patents do not guarantee any success in the marketplace, nor come with guaranteed revenue streams. Think about the bigger picture for awhile. You make a valid point that it would probably be more efficient when an Examiner (and all concerned) can focus on a case over a compressed time frame – fresh in mind etc. and that would be a benefit of accelerated examination, but I’m not concerned about the concept of accelerated examination in and of itself. It’s not speedy that’s worrisome – it’s easy and slipshod – the relaxation of standards, that’s scary. One doesn’t necessarily imply the other. Certainly it would be foolish to advocate a backlog per se, but compared to shoddy examination, it is probably less destructive. The Patent Office is the advocate of the consumer, the public at large, when it is careful about conferring monopolies and the right to sue. In my view, the prime objective is to get rigorous examination that results in rewarding true innovation and avoids casually distributing the power to sue to anybody that asks – or to those who buy the patent subsequently. The thing that concerned me was your first paragraph, which sounded like you were looking forward to the propect of the floodgates being re-opened (independently of your main topic, which was accelerated examination). As to start-ups, an efficient patent system would promote innovation, but an easy patent grant policy does not necessarily do so, in that investment in junk technology would also be stimulated (given that you are assuming investors are placing their bets based upon a patent grant). In addition to the number of patents granted, weren’t there many other factors in the economy that could have effected investment in start-ups? – the Internet bubble bursting, the Great Recession, etc.? P.S. – As to anon’s comments, Isn’t proven technology a good thing? As to more speculative, theoretical or conceptual technology, that can potentially be good as well, but in order for that to pass muster in the patent system as a constructive reduction to practice, it should be self-proving on paper, a characteristic that is not guaranteed by a rubber-stamp patent grant. My preference is that the Patent Office subject such applications to rigorous examination, such that they do indeed convey some value to the public in exchange for the potential burden they represent, therefore no “easy patent” policy. I think that you misunderstand my position as desirous of a rubber stamp for affirmance. At the same time, I still think that you are not correctly perceiving the difficulty in a priori knowing which applications will be commerical successes, and you miss the point that a patent is never a guarantee for commerical success. The view of whether or not proven technology is a good thing is simply not germane to the issue we are discussing. Quite in fact, the known in the hand is blinding you to the unknown possibilities that are the richer fruit of innovation (and precisely why innovation is not linear). “You appear to be confused by what is the legal definition of progress and the layman’s definition of progress. For the laymen, progress means refinement and advancement in a linear view. That is not the legal definition. In the legal definition, progress is obtained when mutliple paths are created. The newly created path need not be better than existing paths. The reason for providing patents for what to a layman must be an absurd result (an “inferior” road) is because innovation is not linear. Innovation hops about and cannot be foretold based on linear improvements in the art. It is impossible to tell which of the many roads may be combined with other factors in the future to arrive at an invention that today cannot even be begun to be comprehended. I would only add that in addition to the legal sense, that you think of this from the real world sense of innovation. The most dangerous type of ignorance . . . is not knowing what one doesn’t know. Those who are not and have not ever been in the patent trenches . . . do not know what they do not know. Leaving their baseless and uninformed opinions of little if any value to the huge majority of the media and public, who; when it comes to the patent world; also . . . do not know what they do not know. I really believe you swatted it right out of the ball park with your comment @ #7. For just one *real world* example, during WWII the lovely Hedy Lamar came up with the idea of using “frequency skipping” for the radio control used to guide torpedoes to prevent signal jamming from rendering the guidance system useless, and developed it into a real invention with the help of a few others. So what do you do with the invention after people stop shooting at each other you might wonder? Completely obvious about 40 years later in hindsight, when the technology was used to allow the development of cell phone communications between literally hundreds of millions of users without completely jamming the airwaves. Would *they* have developed the idea independently without Hedy’s original idea? Of course. The question really just is “when”. A seemingly *junk paper patent* during the 1940’s turned into a wildly successful concept that is worth billions of dollars today, that has radically changed and improved the way most of us communicate. I am here to testify that inventions are very rarely linear, as I sometimes flop around for months with a basic idea, until something like a patent search finally puts the key in the lock, and a very real and valuable invention is suddenly born in a few seconds when the last piece of the puzzle finally falls into the right place. I am a bit puzzled why some would equate dragging out an examination over several years as being better than spending the same amount of hours over a few months, and the use of the term *rubber stamping*. As Gene suggests, Director Kappos should rightly be very proud of his success, and I firmly believe that it is really the best way to go, which David has referred to as compact prosecution in the past. Would you rather study for the bar exam for 8 years, and expect to pass, or get busy and do it as quickly as possible within reason while things are still fresh in your mind? I would choose the latter.